During your Aquatots classes, not only do we provide you with a progressive and structured lesson, but we also make plenty of time for fun, relaxation and bonding too. To show you just some of the exciting things we do have a look at the video's below, to give you a flavor of our classes, from the small babies to the children in our Sharks Swim School. 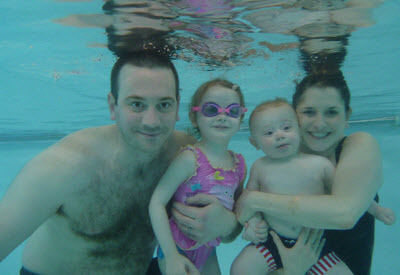 Our baby levels are just the beginning of your adventure and journey through the Aquatots programme. From the beginning we introduce swims and skills that your baby will develop and improve on all the way through our curriculum. In William's video diary you can see just some of the amazing milestones these youngest 'Aquatots' reach by the end of the baby levels. Following on from the amazing skills and swims you will learn in our Baby Programme we enter into the Toddler Levels where you will see your toddler achieve the most amazing things as we work towards their first independent swims and that magical 5 meter achievement. As your toddler grows and becomes more independent, the Aquatots curriculum adapts with them. Here in our toddler video you can see what we get up to during these 7 action packed levels. We are always so delighted just how many of you make it to the very top. To swim with us in these amazing child levels we require the children to swim that all important 5 meters independently, a moment no parent ever forgets. From there the fun just continues, along with the introduction and perfection of the four main strokes, topped off with rescue skills, snorkelling and even underwater scooters. It's quite easy to see below why these classes become the best 30 minutes of these children's week! !